Leah on her second birthday, 34 inches, 25 pounds, sitting comfortably in her Radian 65. Leah is 13.5 months old, about 21 pounds and 31 inches tall, in the Graco Safeseat 1 (infant seat with 30 pound weight limit). 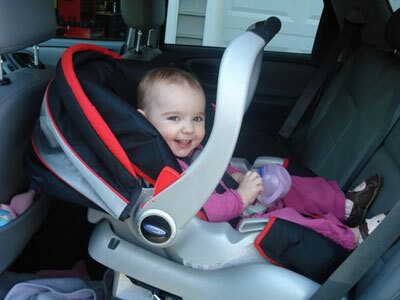 Graco allows the handle to be up when driving. 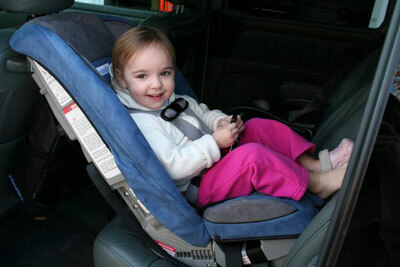 Please always read your car seat's manual to find out it's specific recommendation on handle position.